The World Awaits by Yolie Burke! 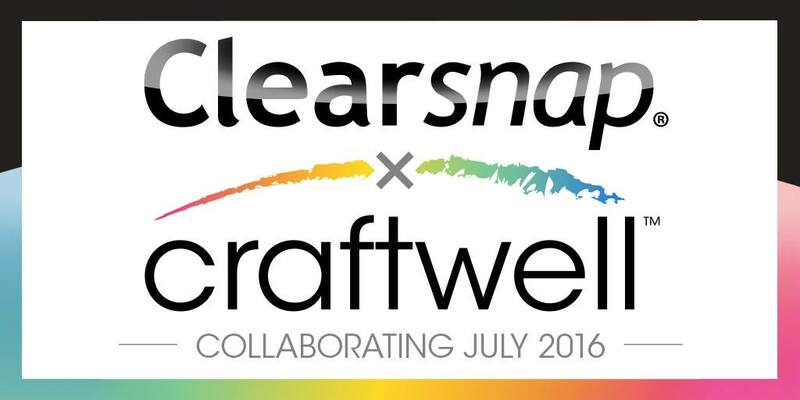 Hello and welcome to week three of the Clearsnap sponsored month. I used Teresa Collins' Platinum Silver pigment ink by Clearsnap world stamp and paper from Teresa Collin's Wanderlust and Studio Gold collections. 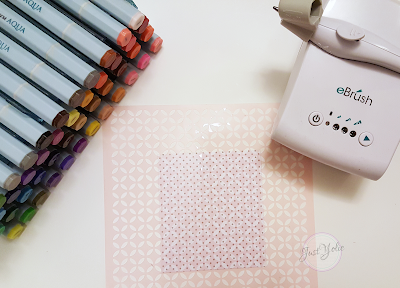 I cut a piece of the gray polka dot paper and used a Teresa Collins stencil. I eBrushed different colors onto the paper using markers. 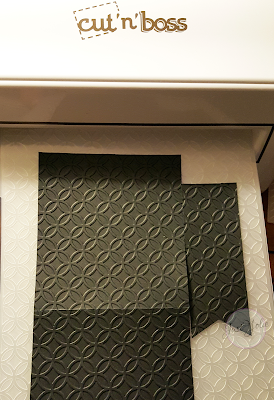 I embossed the card base and a banner piece using the circle embossing folder on the Cut N Boss. I printed "the" and "awaits" on my printer, allowing enough space to stamp the world. I then die cut the scallop circle. I added the layers and glued down silver metallic jewelry string. I used glue dots on to adhere the sentiment die cut and finished it off with glitter silver enamel dots. I hope you enjoyed my card and thank you for visiting today. Yolie, this is amazing cards with tha fantastic backgrounds. That machine is so cool!